New camera sensor tech revealed in patent? 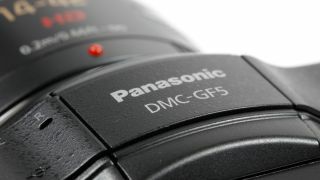 Could future cameras from Panasonic incorporate a new type of sensor? A Panasonic patent appears to show a sensor which is capable of capturing multiple exposures in one shot. The patent seems to show a sensor which can adjust the exposure for every row of pixels, depending on what the camera is pointing at. That could potentially mean that when shooting something with mixed lighting conditions, the exposure time could be different for different parts of the scene. It would appear that the technology could only work in rows, rather than in random patterns across the scene, but either way this could potentially be a very exciting piece of technology. Many cameras currently employ HDR shooting modes, which take two or three (or more) images at different exposure values and combine them to produce one image, however a sensor which is capable of capturing different exposures in one image could be useful. As it's just a patent, it's not clear which camera the sensor could be intended for, but with a larger sensor, the company's range of Micro Four Thirds systems seems like the obvious contender, at first at least. Stay tuned for any news of product updates as they happen.